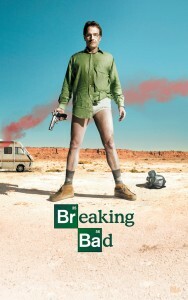 When it comes to solid drama and knockout performances, our absolute favorite show right now is “Breaking Bad” on AMC. It was the series most often recommended to us when we were wallowing in a post-“LOST” fugue state, and it deserves all the acclaim it gets. No, there’s no science fiction, and just a smattering of science. 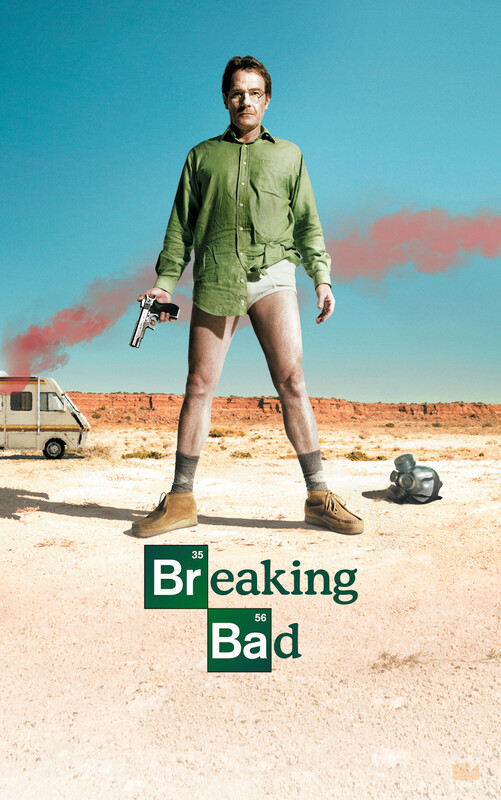 But “Breaking Bad” is intense, gripping, mesmerizing television. Some of its lightest moments are also its darkest, and some of the humor is beautifully painful. We can’t recommend it enough. The Season 3 DVD just came out last week, and Season 4 premieres on July 17. So if you’re not yet aboard, you’ve got just enough time to catch up. If you’re not watching, why not? And if you are, how much do you love the show? Jen suggests that Aaron Paul (as Jesse) has an even tougher job than Bryan Cranston (as Walter)… and given where Season 3 left off (no spoilers! ), I think things will only get more amazing for both of them this year. This entry was posted by Ryan on June 13, 2011 at 3:26 pm, and is filed under Podcasts, TV. Follow any responses to this post through RSS 2.0. You can leave a response or trackback from your own site. Yeah, definitely need to watch this series. I’m all set to do it to since I just purchased season 3, however, I’m still need to clear off shows that wrapped last month. All in due time I guess. Glad “Breaking Bad” is in your queue! And thanks for the link! The full article was by Rick Porter at Zap2It. The season one finale of “Five-0” surprised us and raised expectations, so I can’t wait to see what Lenkov and friends have in store. Just caught this BB entry ~~ I agree with all! S4 is already dynamite (the opening episode = wow!) Spellbinding stuff!! !